Live In or Live Out? If YES type of DOG care? If YES type of CAT care? What activities will you do with children? What grade level can assist with homework? What cooking will youdo in a home? What related meal duties will you do? What Housekeeping tasks will you do? What Laundry tasks will you do? What Ironing tasks will you do? What Valet tasks will you do? What Maintenance tasks will you do? What computer hardware are you familiar with? Please identify your area(s)of software expertise. What office tasks will you perform for a household? What is your HR experience? 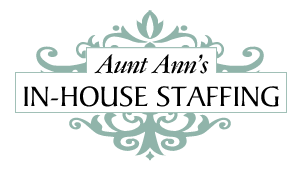 What household management and personal assisting tasks will you do? Did you live in or live out? How did you find the job? What type of phone number is this?